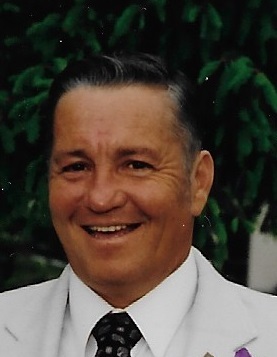 Obituary for Perry L. Trimmer | Feiser Funeral Home, Inc.
Perry L. Trimmer, Sr, 68, died Sunday, September 9, 2018 at the Penn State Hershey Medical Center. He was the husband of Judy A. Freels, his wife and companion for over 33 years. Perry was born March 1, 1950, in Hanover, the son of the late Vernon C. and Grace I. (Goulden) Trimmer. Perry was an active member of the Eastern Museum of Motor Racing (EMMR) in York Springs, the Williams Grove Steam Engine Association, and a life member of the Hampton Fire Company, Co. #10. Perry is best remembered for his sense of humor, as he was a “practical joker”. Perry would drop whatever he was doing to help someone else. In addition to his wife Judy, Perry is survived by a son, Perry “PJ” L. Trimmer and his wife Christine of New Oxford, a daughter, Doris J. Trimmer and her companion Richard Briar of East Berlin, two step daughters, Mary E. Plourde and her husband Gregory of Summit Point, WV, and Susan J. Gibb and her husband Andy of Dillsburg, two step sons, Benjamin F. Freels and his wife Angela of Dillsburg, and William C. Freels and his wife Stacy of Wellsville, 12 grandchildren, Katrina, Elizabeth, Grace, Aleksander, Caitlin, Zachary, Austin, Cheyanne, Savannah, Lane, Samantha, and Grant, two great grandsons, Liam and Brady, his twin brother, Kerry L. Trimmer and his wife Helen of Hanover, and a niece, Jacqueline Stambaugh and her husband David of Hanover. He was predeceased by a granddaughter. A memorial service will be held Sunday, September 16, 2018, at 7 PM at the Hampton Fire Hall, 5371 Carlisle Pike, New Oxford. Burial will be at the convenience of the family. A visitation will be held at the Hampton Fire Hall, on Sunday, from 5 until the time of service. In lieu of flowers, the family request that memorial donations be made to the Feiser Funeral Home, Inc. 302 Lincolnway West, New Oxford, PA.17350, to help defray the cost of the funeral. Memories may be shared at www.feiserfuneralhome.com.